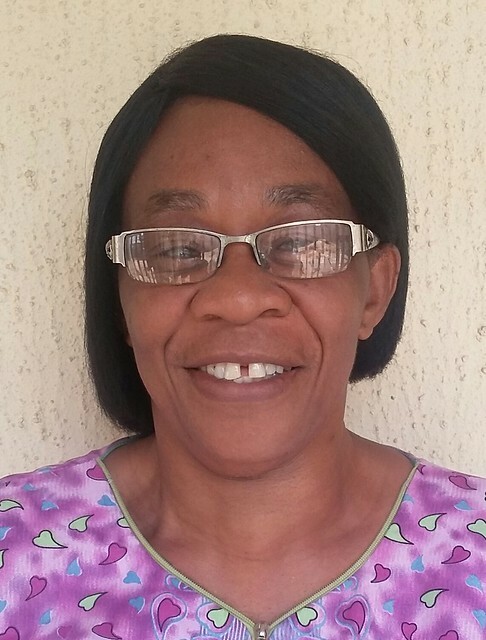 Uduak Oguntu, subnational coordinator for Zone 3 (Imo State) in Nigeria, introduces herself and her work in this post which is part of a series of portraits of key people in the African Chicken Genetic Gains (ACGG) project. I hold a PhD in animal breeding and genetics and I work as a researcher and lecturer in the Federal University of Technology Owerri, Imo State, Nigeria. 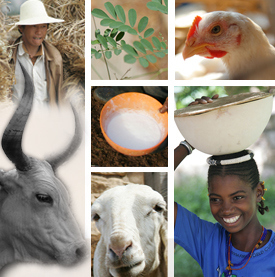 I am interested in the management of genetic variability of our indigenous species of animals and birds. What is your role and what are you currently working to accomplish in ACGG? reporting progress to the country team. What is your current and upcoming work in ACGG?? Presently, we are focusing on nurturing the community innovation platform (IP) to facilitate private sector engagement and business model development in the chicken value chain. At the national level we have established a platform that can drive the activity of the community IP beyond ACGG to be self-sustaining, and creating business opportunities for actors along the poultry value chain. We intend to duplicate this effort at the subnational and community levels. I am also working with students to investigate the genetic variability of the ACGG-introduced birds in the zone and to also observe and monitor the impact of these birds on the environment. This project matters in the sense that it is looking into the ‘how’ of uplifting farmers using a very realistic strategy of empowering poor smallholders, especially women, in the chicken value chain. The commitment of farmers to the extent that they are now hatching the eggs of introduced birds; this indicates a need for continuity. The pressure from other non-ACGG farmers who are requesting to get ACGG birds. Good acceptability of the meat texture of the birds, giving it a high market value. What about the project causes concerns for you and how could these be addressed? Some of my concerns are how to tackle the issue of providing the desired strain to the farmers, how to feed the birds and yet make a viable venture out of it and how to handle health issues that emerge. A feedback was made to the national team (during 4th national innovation platform meeting). Plans are already on the ground on how to get the strains available within the country, while international arrangements are under way for importing them pending the establishment of breeder farms within the country. Community health workers training by the national team will alleviate the concern on health issues. Plans are under way for compiling local available feed ingredients in the different zones in Nigeria; which is being worked out with an Android application using the birds’ requirements. At the same time, feed producing companies in Nigeria have been invited and have promised to provide affordable feed in small sachets for smallholder poultry farmers. In this zone, this project is likely to contribute to an evolving business activity with ACGG birds at the rural level, improvement of livelihood of the farmers involved along the value chain, healthier educated children, and happier homes. I am visualizing a situation, where the feed formulation Android application using the already compiled library of locally available feed ingredients for smallholder poultry farmers is a reality in Nigeria. This is likely to be one of the exciting aspects which will encourage youth’s involvement and result in the sustainability of this project. Similarly, the loan package organized by the Nigerian team will go a long way in assisting thepoor not to drop out of the project. Tags: Uduak Oguntu, voices. Bookmark the permalink.